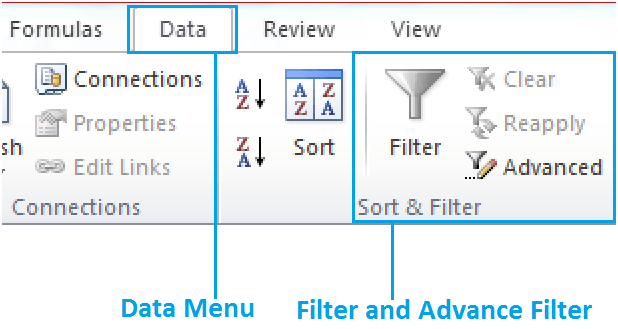 In general sense, filter is a method or tool that is used to show only certain amount of information from selected data and in Microsoft excel, filters can be used to narrow down the data in your worksheet and allowing you to view only the information you need. Filter can be apply to perform various types of operations on both types of data (Number & Text) and by using it, we can perform the following tasks. 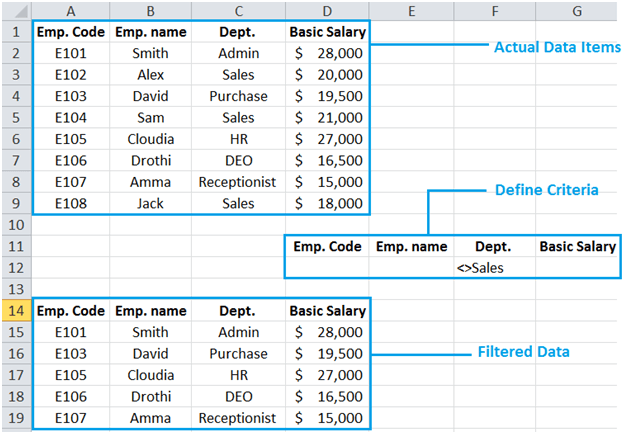 Sorting in data: Arrange data in ascending or descending order. Hide and unhide: By using of this feature we can hide any data item or unhide an already hidden data item. 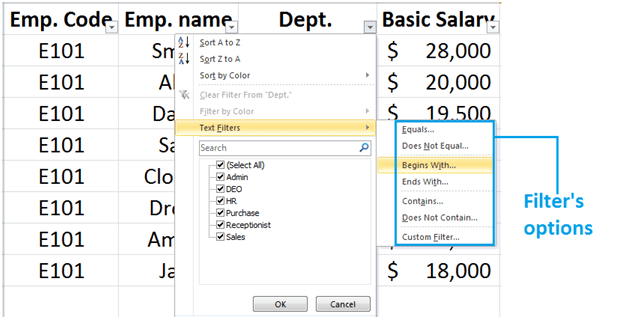 Filter the data: This feature is used to filter the selected data item. Note: As you click on “Filter” option, it will automatically add filter buttons in the head of selected columns, see the below image. Open any already existing file or create a new file in Microsoft excel. Enter the cell, in which you want to paste the filtered data. Now click on “Ok” button. Explanation: In the above image “Advance filter” contain three arguments, which are described below. List Range: The “List Range”contains address of actual data items, in which in we want to perform filter operation. 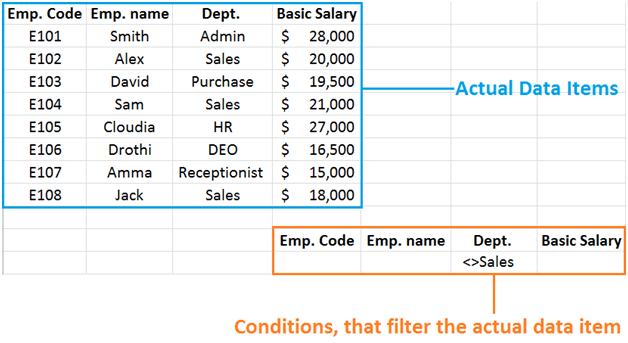 Criteria Range: It contains the address of conditions, which actually filter the data and to define criteria, we have use relation operators, which are described in the below table. Copy to: It contain those cell addresses in which you want to insert filtered data. Note: We can define multi-number of conditions (Criteria) in simple filter or advance filter.